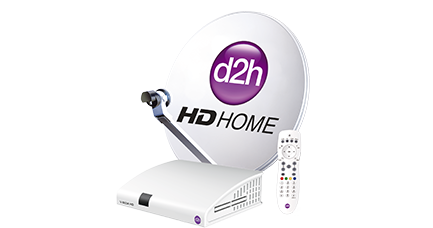 Mumbai : d2h, India's fastest growing DTH player is going all out in adding new channels and services. For the first time in the history of DTH services, an audio music service dedicated completely to Ghazal's is being introduced. d2h is paving the way to give this genre much needed recognition. The 'Ghazal' service will be accessible on the Active Music platform. The service will feature a huge collection of ghazals of various singers like Anuradha Paudwal, Ghulam Ali, Chandan Das, Jagjit Singh, Pankaj Udhas, Alka Yagnik and Lata Mangeshkar. Ghazals are very serene and soulful in their expression, the lyrics are written beautifully and carry deep connotation. Ghazals also tend to create a lasting and thoughtful impression in the listener's heart and soul. Mr. Saurabh Dhoot, Director - d2h group on the service addition said ""We always believe in bringing to our viewers the best in quality and variety. We constantly push the envelope in terms of providing differentiated programming through various platforms. We pioneered the trend of bringing an assortment of offerings through the Active Music platform and we will continue to treat our consumers to wonderful new initiatives."" Mr. Anil Khera, CEO d2h added added, ""Ghazals are extremely popular in our country and they work as great stress busters. We are confident that with this new addition we will be in a position to create a different aura for our brand. It brings us immense pleasure to provide a platform for our consumers to access ghazals sung by maestros and to be able to enjoy this unique offering though our Active Music channel."" 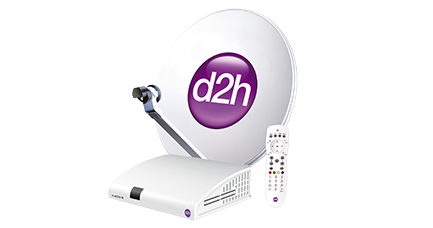 d2h is the fastest growing DTH service provider offering 400+ channels & services, the highest in the country. 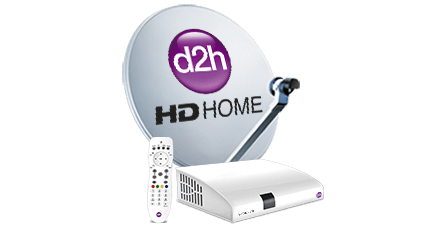 d2h also has highest number of 36 Asli ""HD"" channels, highest number of sports channels and leading GEC channels. Powered by the MPEG-4 and DVB-S2 technology, d2h offers unmatched services like 12 PIP Mosaic, d2hCinema, weather updates and multiple tickers to transform your TV into a hub of entertainment and knowledge. It offers High Definition channels in 1080i Resolution, HDD Sound, 5x digital picture and 16: 9 ratio. Apart from these, it has Active Music which includes 41 Audio / Video music channels 24 hrs a day in different genres which is unique service. In addition, d2h provides round-the-clock prompt and efficient customer support in over nine languages from the dedicated customer care team present in 7 locations.